How to Rip DVD to Media Server and Transfer DVD to Plex, NAS, Roku, DLNA Server? Is There an Easier Way to Rip and Backup DVD to Media Server? "I have a large personal DVD collection that I rip and store on a NAS drive running as a PLEX Media Server that allows me to watch conveniently. I normally use HandBrake to rip, but have experienced issues with some of the latest DVDs that I purchased." DVD is a physical media that is only limited to being played by DVD player device provided with DVD-ROM. For playing more flexibly, transferring it into a media server would be a popularly acceptable way. To rip DVD to media server, many people is used to using HandBrake. However, the tendency becomes changed. On one side, HandBrake does not natively support copy protected content, especially the latest DVDs; on the other side, it has more and more issues now such as not encoding full movie, not showing all titles. Worse for most people, it takes too many hours for HandBrake to rip a feature-length movie, even realtime severalfold. One of the reasons is that HandBrake can only transcode DVDs, but cannot passthrough DVDs and videos. It is a long process to decode and re-encode even a DVD, let alone to deal with a bunch of DVDs. How to Convert and Rip DVDs to Digital Files for Media Server? To copy a large collection of DVDs to Plex/NAS home media server, you are suggested to turn to a faster DVD to Media Server ripper for Windows 10, Windows 7/8.1/XP/Vista PC or MacBook, iMac, Mac Pro, and more. WinX DVD Ripper Platinum - [100% clean] Fast rip any kinds of DVDs to digital files for putting in media server. * Loading DVD movies into so that kids do not destroy them. * Opening the file directly on PC with Media Player Classic Home Cinema. * Downloading DVDs to a media server (Mac Mini) using an external drive connected to the Mac Mini Server. What Is the Best Format to Rip DVD to Media Server? The best output format should be ISO or MPEG. Similarly, MPEG/MPEG2 file converted from a DVD also contains the full information of the original, but the output file will be much smaller. 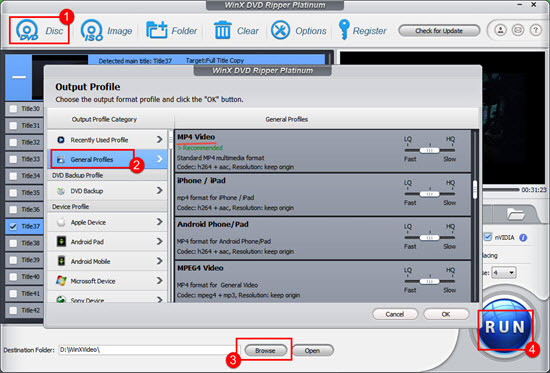 More differently, choosing " Main Title Content Copy" in "DVD Backup" feature by using Winx DVD Ripper, you can get the fastest copy speed in the world while being able to change audio language and manage subtitles. One more thing, .mpg file is generally friendly with most TVs. The best container format would be MKV, which would be widely accepted by kinds of media servers. 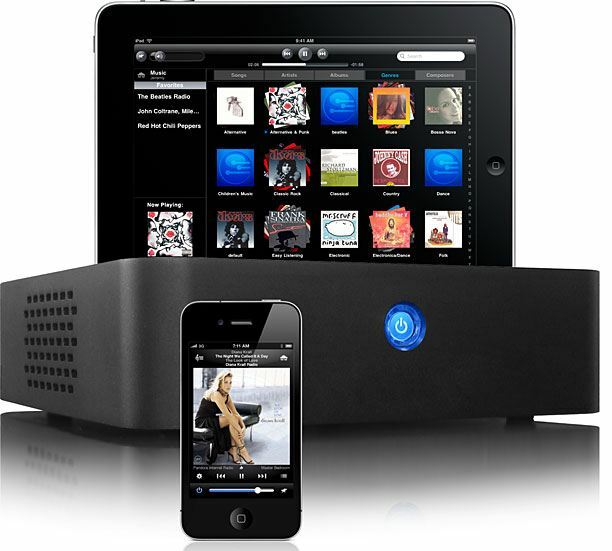 It is the standard of HD video in Blu-ray or 1080p quality, and would preserve any multichannel audio (i.e. 5.1 surround sound). The file size may range from 4GB to 7GB. Video formats supported by Roku only cover MKV (H.264), MP4 (H.264), MOV (H.264), WMV (VC-1, firmware 3.1 only). The most recommended video formats would be MP4, MKV, H.264 and audio formats go to AAC, AC3 and DTS. How to Rip DVD for Roku/NAS/Plex Media Server? Step 2. Launch the DVD ripper, click "DVD Disc" button on the UI and let the DVD be added and loaded. Step 3. After the main movie title be analyzed and selected by the program (if not the desired one, you can change it), choose an output video format such as MP4, H.264, WMV, MOV, MKV (in Mac version) as recommended above, or output device format such as iPhone 7, iPad Air, Samsung Galaxy S7, Apple TV 4 and PS4. It has over 350 profiles for you to choose and get ready for streaming via Plex media server, Roku or NAS. Step 4. Define an output folder. At the "Destination Folder" Section, click "Browse" and set any disk on your computer to save the to-be-converted files. Step 5. Start ripping the DVD to media server. Tap "RUN" and the DVD decrypting and conversion will happen at the same time. In this way, you can get a ripped digital movie file on your computer hard drive. How to Stream or Store DVD Movies with Plex or Roku Media Server? Step 1. To transfer DVD/Blu-ray movies to Plex, first download, install and launch Plex app. Step 2. Create a Plex account. Step 3. Add library by clicking "Add Section" button and selecting "Movies". Step 4. Select the DVD rips you want to add and click the Add Folder button. Step 5. Tune into Plex and by use of DLNA-friendly device (like DLNA-receptive set-top box, gaming console, a Chomecast) to stream the movies to different devices. Thus, you can create a digital library for use around my home by my family. How to rip DVD to media server you are to use/using Roku? Step 1. Transfer the digital DVD/Blu-ray copy to a USB file, external hard drive or SD card before connect it to Roku. Step 2. Install Roku USB Media Player Channel from Roku Channel Store. Step 3. Home -> Roku USB Media Player channe -> find and select the converted DVD movie in the channel. Note: If you want to transfer and sync movies to iPhone/iPad much easier than using iTunes, please try WinX MediaTrans. It's time to transfer your DVD collections to NAS with no worries about data loss, limited hard drive space, etc. Here is how to rip DVD to NAS. Part 2How to Rip DVD for Roku/NAS/Plex Media Server? Part 3How to Stream DVD Movies with Plex or Roku Media Server?